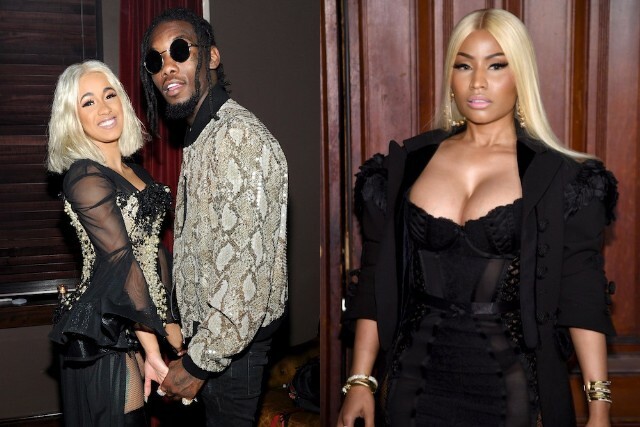 Migos brought in fellow hitmakers Cardi B and Nicki Minaj for their latest song “Motor Sport.” The single dropped after Migos previewed the track at Power 105.1’s Powerhouse concert on Thursday night. “Motor Sport” comes in a year where Migos and Cardi B notched their first No. 1 hits. Nicki Minaj, whose verbal skirmish with Remy Ma remains her biggest 2017 story, is currently working on her follow-up to 2014’s The Pinkprint. Listen to “Motor Sport” below.